All video's pertaining to this SALE will be Titled EPIC. There are many videos starting with number 1 to show you the process! Betty was originally from Oklahoma & largely in part a native American. Betty & her husband Jessie moved to Georgia many years ago. Betty was the postmaster at the Rock Post Office. Betty’s house is filled to the brim with important collections. 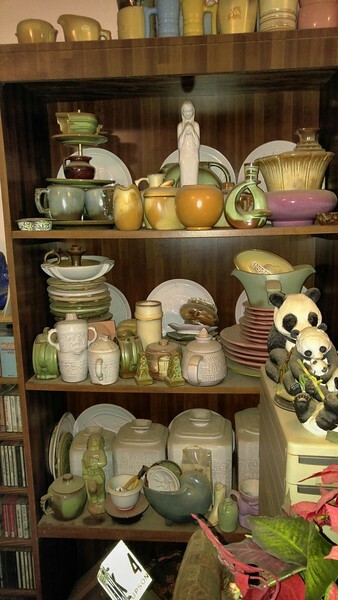 This is EPIC COLLECTING…& it's nothing like an ordinary estate sale. If you're from out of town I suggest that you get a hotel & stay a couple of days and visit us each day! We are still finding unearthing things we have not seen in months of being there. Much research of items & planning have gone in into this Epic Sale & in order to do it right this is very time consuming. After the contents of the basement and all the Trunks from Oklahoma were gone through plus the contents of the attic… it became apparent that we needed more time to prepare & research. Not to mention displaying all these fabulous treasures that have never been out in the open until now . All in a one level brick ranch style home! Remember this is several Generations of extreme collecting.This is hoarding...but it is collectible, excellent, important collections. This isn't our first Rodeo with massive amounts of merchandise & you will not find a whole lot of what I call “junk” at this sale. items!! !, Most new in boxes! Betty Starling was a gentle, giving & Generous lady, giving To people in need ( from groceries to monetary needs, the humane society & more. As the postmaster of the Rock Post Office ( which is a little metal building) in order for the Rock post office to remain open there had to be a certain package quota….SO...Betty ordered TONS of great items that had to be delivered through the Rock post office….so the post office could remain open! Thus we have #4 metal buildings with awesome merchandise! It really is incredible!! To see hundreds of photos You are in the right place! !